What does it mean to be collegial in academic libraries? From what I’ve observed, the term has a number of components. A collegial librarian is helpful, willing to pitch in, and cooperative. Such a person is skilled at collaboration and is a reliable member of the team. If you’re looking for a volunteer, a collegial librarian will step forward. These are all wonderful traits. But from what I’ve seen, there is one component that overshadows all others: agreeableness. Collegiality has become nearly synonymous with this trait. A collegial person goes with the flow, supports prevailing sentiments, and doesn’t make waves. Such a person may advocate for an idea, but doesn’t push the point if others become too uncomfortable or resist. A collegial librarian preserves the comfort level of colleagues. This is both deadly and dangerous for our profession. Very true – this agreeable collegiality has the potential to be both deadly and dangerous to librarianship. It is a tricky area – especially for those of us in the library systems area (only because this is the area that I can speak to). Personally, I find it is imperative that I practice agreeable collegiality often when dealing with technologies and new initiatives that may impact IT. I must have a give and take relationship with our IT department. This is critical to my ability to be effective in my job. Sometimes I just agree. Usually, it is because I believe (at the time) that it is better that way – and that it will help me get where I need to be in the long run. What does this mean? I want to be collegial, but I do not want to just be agreeable and give in to make everybody happy. I want to push the envelope – of course, I want to do this without making enemies. Academia definitely has its own unique culture – and it is possible that innovation may be stymied by some of its inherent love of tradition. Hopefully, it will help to be aware of this tendency, to hold firm to my belief in the need for innovation, to be appreciative of the work and effort of others and to remember that sometimes I need to take the lead. On a totally unrelated note: The Mythbusters built a homemade defibrillator on tonight’s show with spatulas for paddles. Odd! 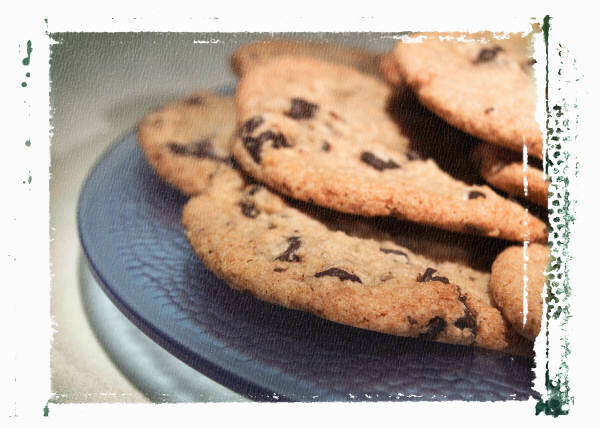 It is National Chocolate Chip Cookie Week!!!! Let’s celebrate!! But please don’t tell anyone that I have been celebrating a mite bit too excessively. I hope know one notices all of those crumbs (or the chocolate around my mouth). You are currently browsing the Life as I Know It blog archives for the day Wednesday, March 7th, 2007.